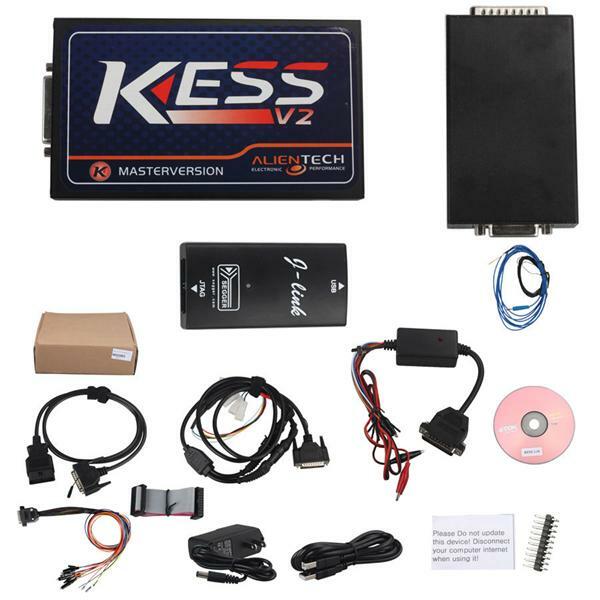 Kess V2 V2.37 OBD2 Manager Tuning Kit Following on the success of the tremendously stable and versatile Kess 1, this latest addition to the Alientech stable is probably the most advanced tool available today. Note: If you need software, please can contact our email: sales@OBD2shop.co.uk, we would send the software download to you for free. 4. No Token Limitation: can be used unlimitedly, no need to worry about tokens anymore. KSuite V2.37 adds new features that older version KSuite was not available: after user choose car detailed information, you will get prompts I.E: warning, notice, recommendation, instruction, pinout, cable number, etc. KSuite V2.10 adds new features that older version KSuite was not available: after user choose car detailed information, you will get prompts I.E: warning, notice, recommendation, instruction, pinout, cable number, etc. KSuite Full CD files contain driver/video tutorial for KSuite V1.89, KSuite V2.06-Full, KSuite V2.08, KSuite V2.10. You are free to install any version of driver as you will. And the video on how KSuite automatically updates from V1.89 to V2.10, stored in the ksuite V2.10 CD files. 2) Do not re-install lower version since you verify the newest version working well. 4. Plug Ktag interface into the computer, and find new hardware on the desktop, step-by-step to finish installing the software for USB device. 5. Open “My Computer” – Computer Management – Device Manager -Universal Serial Bus controllers – USB device, to check whether it has a good establishment between the computer and Ktag interface. Q: KESS V2 is a master version or slave version? A: It is the master version. Q: Customer told us that KESS V2 can not do EDC17 well, such as Bosch EDC 17 (cp04-CP14-CAN-Med17.X ) and Bosch Bosch EDC 17 C54( Passat, Golf, Crafter, Octávia, Yeti-VW). EDC16 all ok.